New York City social host and liquor liability laws (aka dram shop laws) make it possible for owners of bars, restaurants and other establishments to be held liable for financial damages when they serve intoxicated patrons alcohol and those patrons go on to injure or kill others in accidents. 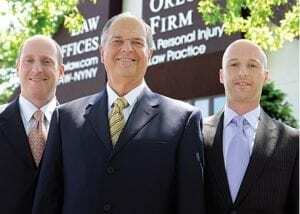 Contact our New York City law firm today to speak with an experienced NYC liquor liability attorney. Have you or a loved one been injured by a drunk driver? If so, contact our NYC car accident lawyers today for information regarding your legal rights.